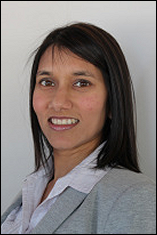 MC2 faculty member Marshini Chetty, assistant professor in the College of Information Studies, was recently awarded an NSF "Medium" award to study representative personalized services such as search engines, news aggregators, and on-line targeted advertising. This work will be done in collaboration with researchers at the University of Michigan and the Georgia Institute of Technology. The goal of the project is to identify and prevent "pollution attacks" in personalized recommendations of this sort. Defenses to be explored include a distributed data collection, measurement, and analysis framework to detect anomalies that are indicative of pollution of user profiles or population preferences. The new information-analysis techniques use machine learning and natural language processing to identify differences (e.g., missing information) that are significant or important to a user. The project also develops tools to alert users and guide them to understand and repair their profiles, and studies regulatory models to incentivize the industry to adopt a more transparent practice. The research will be evaluated in part via user studies in an effort to foster adoption of the technologies developed as part of this work.